Hello! After a 2 week delay of Holidays and technical difficulties we finally have our stuff back on track! This week is a solo Brandon episode with some smooth Jazz talking about the coolest looking anime coming in 2019 including returning favorites like One-Punch Man, Mob Psycho 100 and Attack on Titan and the cool brand new anime coming like Boogiepop, Vinland Saga and ProMare! 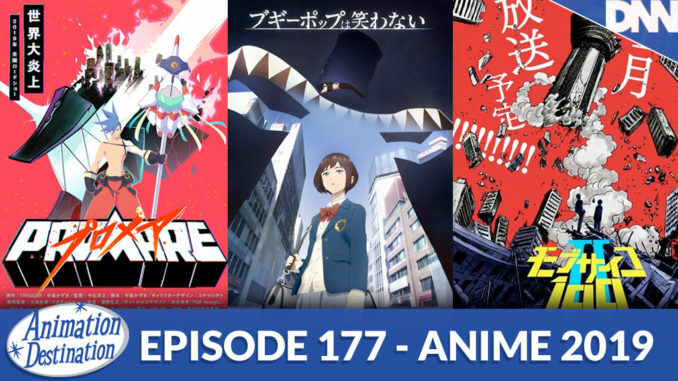 TOON IN and let’s check out some new anime line-ups!